Inside Casey ARC, looking from the deep end. 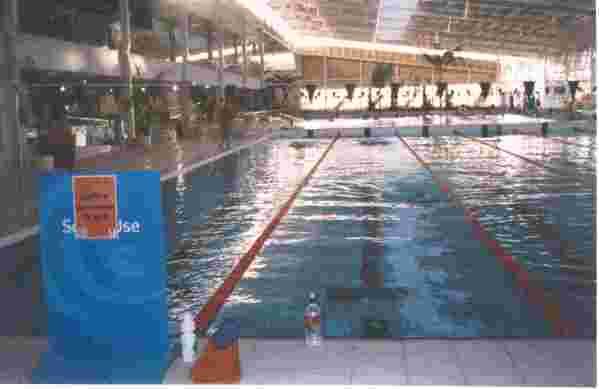 We train at the Casey ARC (Aquatic and Recreation Centre), situated between the Princes Highway and Fountain Gate Shopping Centre in Narre Warren, a south-eastern suburb of Melbourne, Victoria. PLEASE NOTE: You are looking at the Casey Seals Masters Swimming Club website. This is NOT the Casey ARC website. 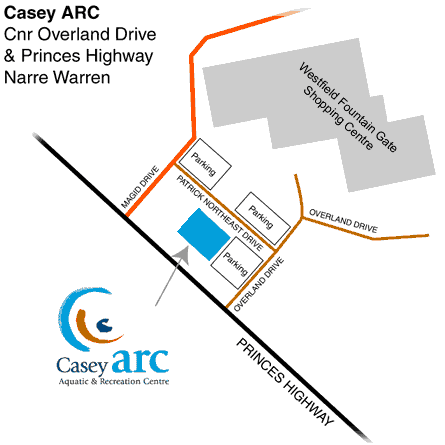 Please click here to go to the Casey ARC website.